I’ve seen my fair share of street and beach performers. There was this one guy in Atlantic City that did a great “Money in the Bucket” performance that still brings a smile to my face. This artist on some beach, sometime (I obviously dig specifics) treats the audience to a mind-blowing finale. And now you get to watch it now – from wherever you are. 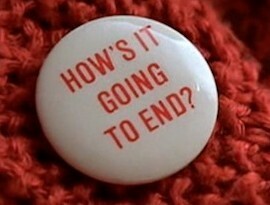 It’s like that “How’s it Going to End?” button in “The Truman Show” that Sylvia wears. How will this painting end? No way you’re going to guess it. Which reminds me, Jim Carrey was totally robbed out of an Oscar for his peformance in “The Truman Show” as Truman. Robbed. And yes, I say that every time I get the chance. Onward… watch this and share it because it’s pretty awesome.